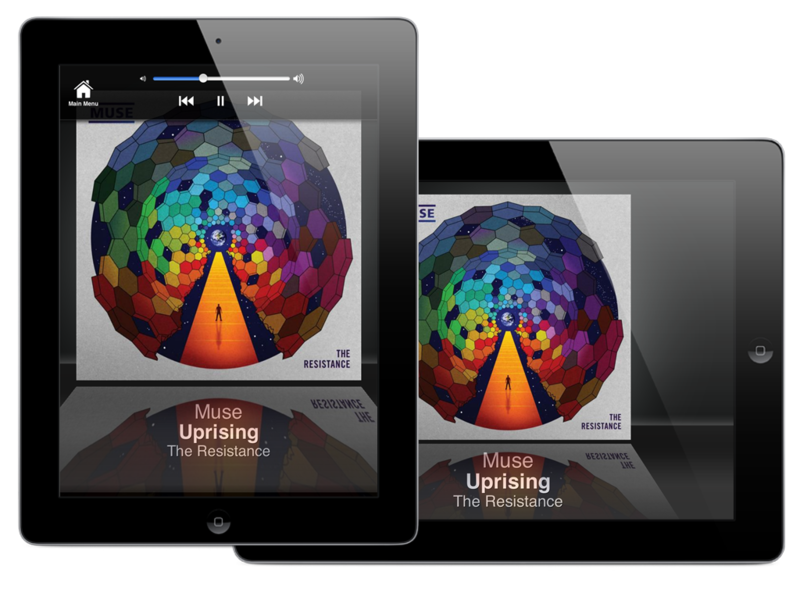 SonoPad knows your music – the web knows even more! 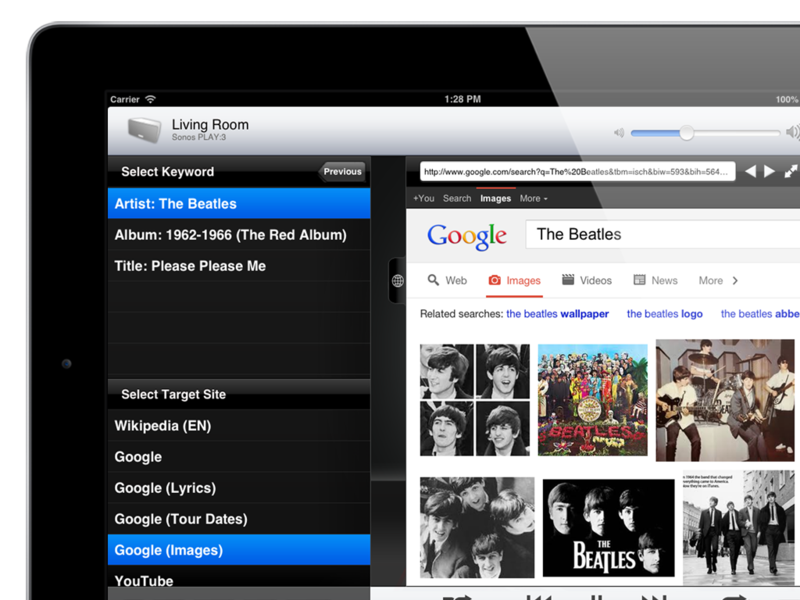 Research on all major sites done easy with a single tap: Wikipedia, Google, Last.FM, YouTube, Facebook, AllMusic and many more! 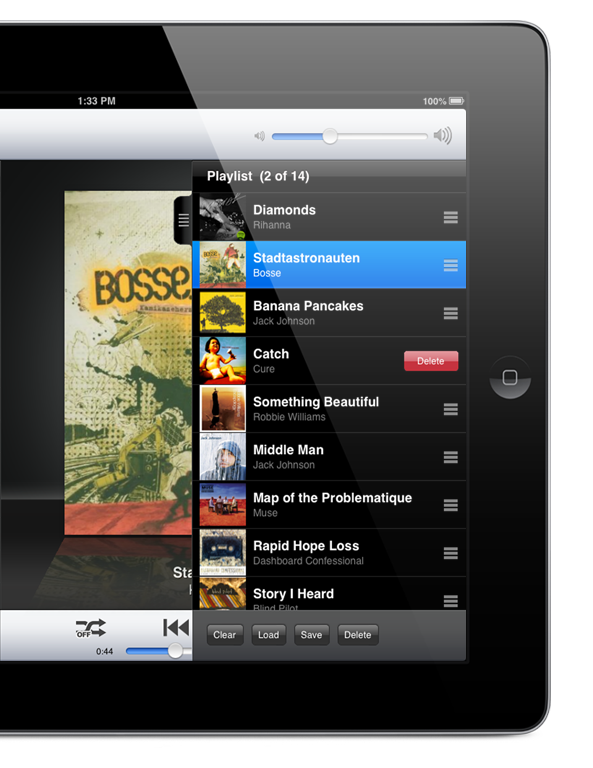 Put your iPad into a dock and start your party. 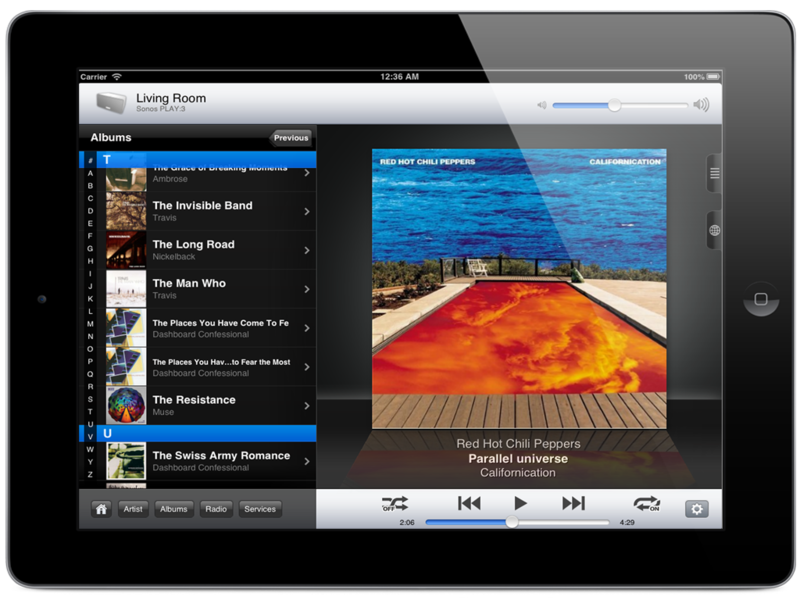 Big coverarts will tell your guests what they are listening to. Unlike the main screen, screensaver mode supports both portrait and landscape orientation. Volume + progress popups: when changing volume or progress of a song, you get popups telling you the actual values. Stop guessing your desired values today! SonoPad knows what you are playing, the web knows even more. Pregenerated links and searches based on your playlist: you are just a tap away from Wikipedia, Lyrics search, Tourdates Search, Last.FM, YouTube, Facebook, AllMusic, MusicBrainz and many more. shortcuts to most used functions: on the bottom bar you have shortcut buttons for artist, albums, radio and musicservices. The Radios menu is rearranged so you are only two taps away from your radio favorites from any place. 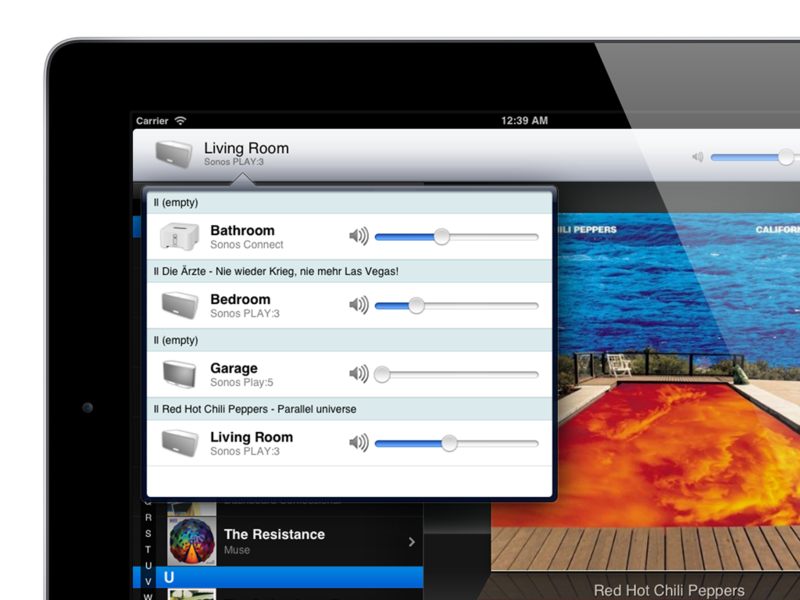 you can control the volume of every Sonos player directly from the players popup. No need to switch players anymore. No portrait mode on the main screen of your iPad yet.